I am so, so, SO VERY excited to be part of Julie Musil's cover reveal for THE BOY WHO LOVED FIRE! Julie is my agent sister and easily one of the kindest people I've ever met. If you don't follow her blog, it's a must. She is always helping other authors by sharing writing tips and is a huge support to this community. I can't wait for this book to come out! 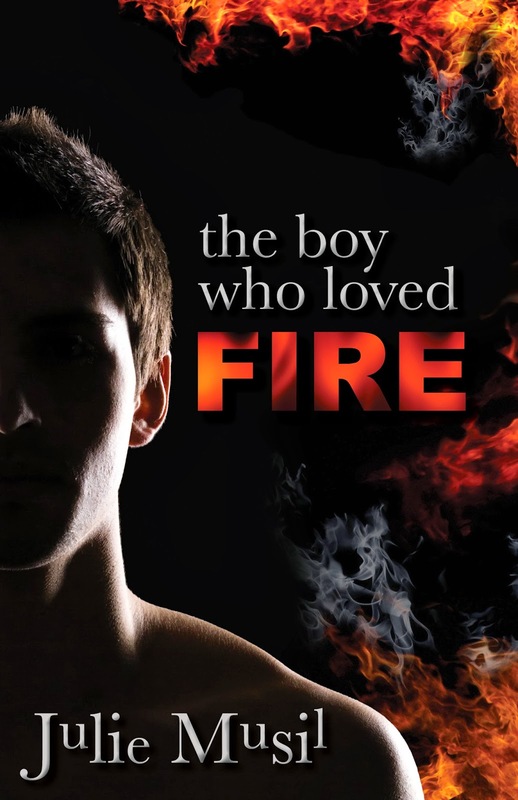 Who doesn't love a little YA contemporary with a splash of ghosts??? Julie Musil, author of YA fiction, is a chocoholic and obsessive reader. As the mother of three teen boys, she’s immersed in teen speak, drama, and gym socks. She loves to chat! Connect with her on her blog, Twitter, or Facebook. Isn't the cover lovely? Totally not cliche and definitely gripping. Can't wait to get my hands on this, Julie!!!!! It’s not often that I get to have a celebrity on my blog… okay, so this might be the first time. But Chris Savino and I go waaaay back. Like, I *think* a year ago he might’ve favorited one of my tweets. Maybe. 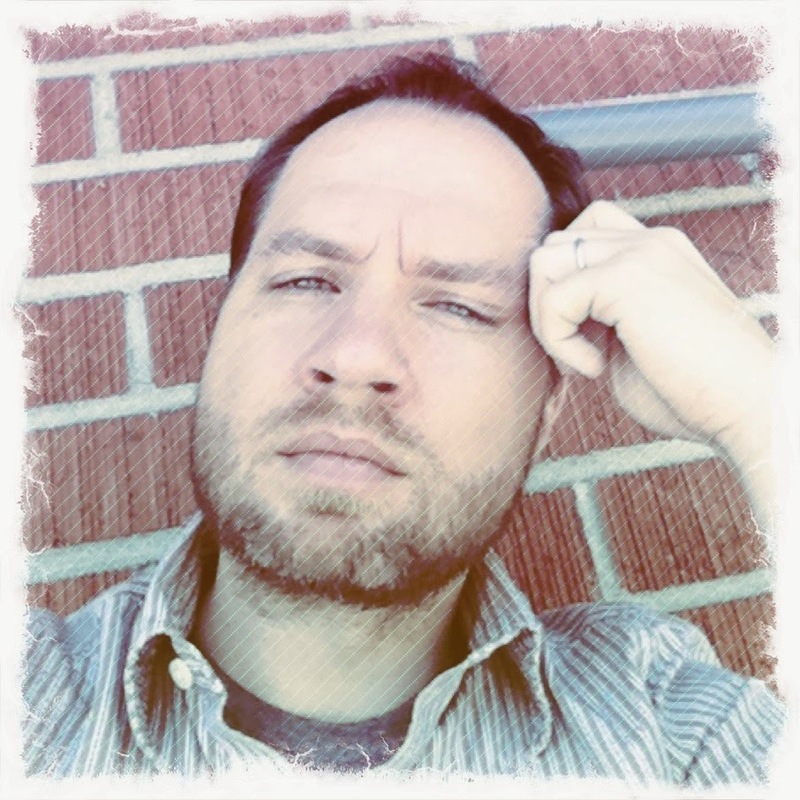 Most of you have probably heard of Chris or seen his work without even knowing it. The guy has done EVERYTHING. He has written, directed, or produced numerous episodes of Johnny Test, Kick Buttowski, The Powerpuff Girls, The Ren and Stimpy Show, My Little Pony, Dexter’s Laboratory… just to name a few. I mean, the dude has been nominated for 3 Emmys. 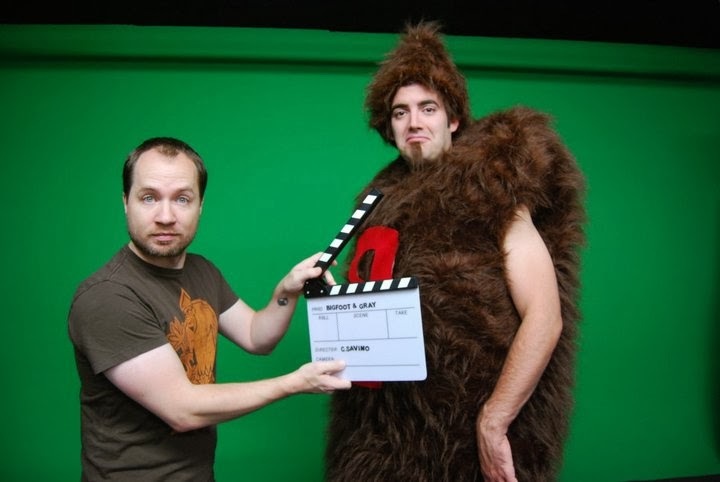 He’s also developing his own live-action series, Bigfoot & Gray: On the Run. I’m pleased to have Chris here today to talk about what inspires him, how he’s survived in the business, and his current projects. I figured he could share so much more than I could for the Insecure Writers Support Group this month. (Thank you, Alex!) So I hope you gain the same kind of inspiration I did from reading Chris's story! >> I am number 9 in a family of ten. Yes, 10. 5 boys. 5 girls. It’s easy to get lost in such a big family so therefore it was easy to hide in my room (which I shared until I was 17) and draw. I’ve been drawing since the age of 4, copying Peanuts from the comic pages of the newspaper (what’s a newspaper?). My whole life I wanted to have my own daily comic strip (still do) and didn’t consider animation as a career until my senior year of high school. Sure, I watched cartoons all my life, but I never thought about them in that way. It didn’t help that most people saw cartooning as a non-career path. 2.) I know you’ve talked about getting a big break at age 19, tell us about your journey from that point on. Were there moments where you doubted your ability? Or has it been a smooth-sailing ride? How have you changed from that nineteen-year-old boy? >> I was lucky enough to get hired on a show called Ren and Stimpy. Leaving Michigan for Los Angeles for that job was the first time I had ever been on my own. I was scared, but I knew I had to take this once in a lifetime opportunity. Here I was, a fresh faced kid from Michigan who thought he knew a thing or two about cartooning, and then there I was sitting amongst the biggest names in animation and I quickly realized I knew NOTHING. Since I did not go to school for animation like most had (going to art school was not even an option for a lower middle class kid from a family of 10) I knew I couldn’t screw up my big break so I made a vow to myself to absorb every aspect of cartoon making that I could. I’m still absorbing to this very day. I doubt my ability on a daily basis and freely admit that sometimes even I fly by the seat of my pants. I do believe that this doubt keeps me on my toes and keeps me constantly learning and growing as an artist and director, and I never (okay, sometimes) let the doubts stop me from doing my job to the best of my ability. Besides age, (I’ve now been at it for 22 years) I don’t think I’ve changed that much. The vow I made way back when still holds true today as it did then, even more so now because I constantly have to adapt to the changing tides and tastes of the viewing public as well the fresh young kids with fresh new ideas flooding into the business keeps me on my toes and always making sure that my skills and experience always remain viable. 3.) What has been your favorite project you’ve worked on to date? >> We all have that one project that no matter what people say about it or how people react, we believe in it so much that we cannot fathom letting it go. For me, that project would be Bigfoot and Gray on the run. I won’t go in detail about what the project is (I’ll assume you will post some links), but I can say it is 100% inspired, in tone, by my favorite cartoon, Rocky and Bullwinkle (as well as Super Chicken and George of the Jungle) which was produced by Jay Ward studios. The smart writing, the visual gags and of course, the puns (I am proudly known as the “Pun King” to my peers and my jokes have even earned the name “a Savino”, as in I totally made a Savino joke the other day...) all resonate with me and certainly influence my own style. 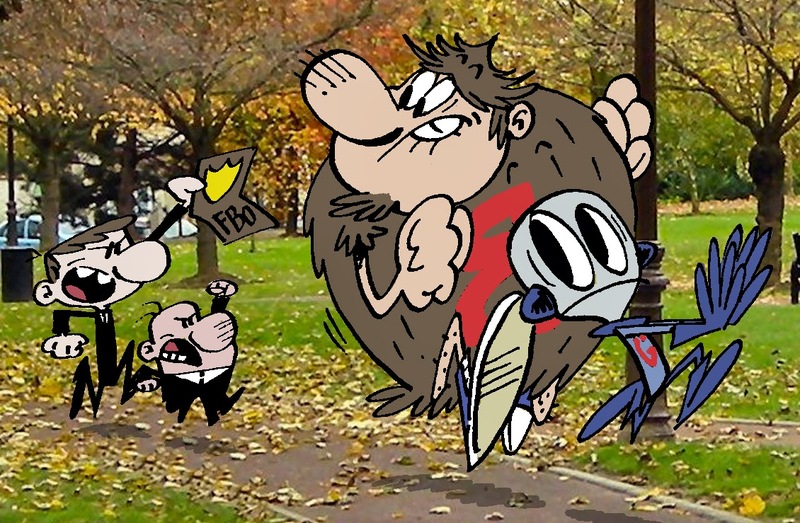 As for the characters themselves, I have always been interested in aliens, and ghosts and bigfoot and creatures of lore so when the idea popped into my head about an alien and a bigfoot buddy comedy I naturally went the route of and paid homage to Jay Ward cartoons. As you can see by my blog, I didn’t stop at live action. I also tinker with BF&G as an animated show, a comic, and also merchandise. And to answer your last question, I believe I am an amalgamation of both characters as the words that come out of their mouths are words that I would say if I were in their situation. 5.) Your job has got to be stressful—so many projects at once, while trying to launch BF & G. How do you stay motivated and inspired? Do you still feel magic with each new project? Or has it simply become a job? >> Yes. The job can be stressful at times. Fortunately, I work well under pressure and am quite good at multi-tasking. On occasion, it can feel like a job and it loses some of its luster, but when the final product comes out it erases all of that and I am left with a sense of pride. I try to always remember that the mere fact that someone is actually paying me to draw cartoons for a living is as crazy as it sounds and that I am extremely lucky. 6.) Is there a defining moment in your life that has made you who you are? An event you can always go back to that drives you forward? >> Not ONE moment per se, but I seem to recall so many times a kid that friends, family and other adults were always impressed by my drawings and would always encourage me and never made me feel like what I was doing was not going to amount to anything. It’s the times where I am at my lowest in both confidence and security in my ability that I recall those times and continue to press on as I never want to let those people down. 7.) A little bird also told me that you’re working on a low-end MG/ high-end chapter book. How different is your short film writing experience from novel writing? And do you think your animation writing/directing has given you a leg up in the biz? >> Cheep cheep. It’s true. It’s one of those projects that kind of sits on the lazy suzan of projects and when ever it comes spinning around I pick it up, dust it off and add a little bit more to it. Because of my background in cartooning I knew I wanted to have drawings in my book and it seemed chapter books was the proper venue. Because animation is a visual medium and writing is more “in the head” I wanted to find a way to bring the visual gags of animation into reading as well as incorporate a sense of timing and surprise through words as I might through editing in a cartoon. It’s a process I am still developing and I find quite difficult on occasion, but I am totally up for the challenge. 8.) With any form of art, rejection is always part of the process. Any advice for us writers who are trying to forge on through rejection? You’ve obviously had an incredibly successful run thus far! >> Ugh. Rejection. As you know I very recently experienced a rejection that really bummed me out. It makes one question not only their ability, but giving up altogether. Why, when it hurts so bad do we then pick ourselves up, dust ourselves off and start the process all over again, knowing full well the chances we get rejected again are far greater than acceptance? There’s no one answer, but I feel that there’s something inside us that needs to get out and regardless of the pain it causes, we must do whatever it takes to get it out. Now, because what we do is a commercial art that thing inside us that we must get out is not for us per se, but for everyone else, we are left to the whims of an executive or a publisher or a test group or a passing fad or what’s “hot” at the moment. The truth is, no one really knows what the audience wants and ultimately it is a crap shoot, but regardless, we are going to keep trying so we must learn to not take rejection as a personal reflection on our ability. Notepad and pen or computer? Computer. Cartoons or reality TV? Cartoons. Romney or Obama? (I’m kidding!!!) Who? Any other news? Enjoy Chris's interview? It's October, my favorite month, so time to write! Hope your projects are going well!